Subic Fitness Festival is on the road to one of the country’s top destinations for sports featuring free fitness weekends happening in Manila all throughout September and October. 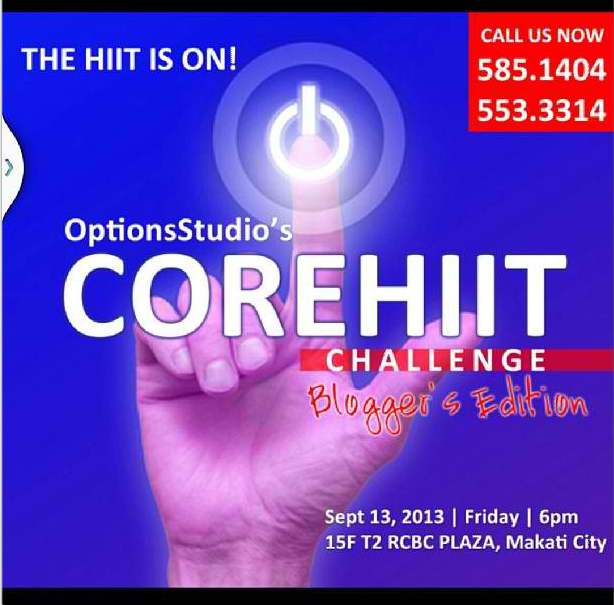 Options Studio, located at the 15th floor, Tower 2 of the RCBC Plaza, Ayala Makati, will host an evening of signature workouts this Friday, September 13 from 6:00 to 9:00 p.m.
Coach Kenn Colubio will provide an intelligent and disciplined approach to fitness – Pilates! Learn how to relieve stress and back pain; improve muscular balance and strength; prevent injury from bad posture or achieve a tighter waistline with better abs with Reform Pilates™ and Suspend Pilates™. The Saturday session will build bodies and buddies with fitness from the ground up as The Philippine Kettlebell Club will feature optimum core strength exercises and techniques. On September 14, from 6 p.m. to 9 p.m., experience a well-balanced and energetic training session at the USPC Sports Performance Center located at 6B Felipe Pike Street, Bagong Ilog, Pasig City. Individuals and groups are all invited to try out kettlebell, the SubicFitFest way. Table Tennis experts will showcase Spins and Burns, on Sunday, September 15, at the PSC Rizal Stadium, from 5 p.m. to 9 p.m. Headed by the legendary Ting Ledesma, Table Tennis Association of the Philippines serves the pack with a three-hour, sweat paddling work-out guaranteed to channel force with grace and precision. A mind-muscle-eye coordination session with the country’s foremost advocates of the sport, this event will involve lots of swinging pings and smacking pongs to give participants a sample of the SubicFitFest experience. Organized by F&F Events International and Subic Bay Metropolitan Authority (SBMA), Subic Fitness Festival is set for November 15, 16, and 17, 2013, at Subic Free Port Zone – Harbor Point, Camayan Beach and Ocean Adventure. It is a gathering of 24 fitness disciplines in a grand event that offers to every Juan, Maria, Nene and Boyet, a holistic approach to fitness for a healthy and active lifestyle.